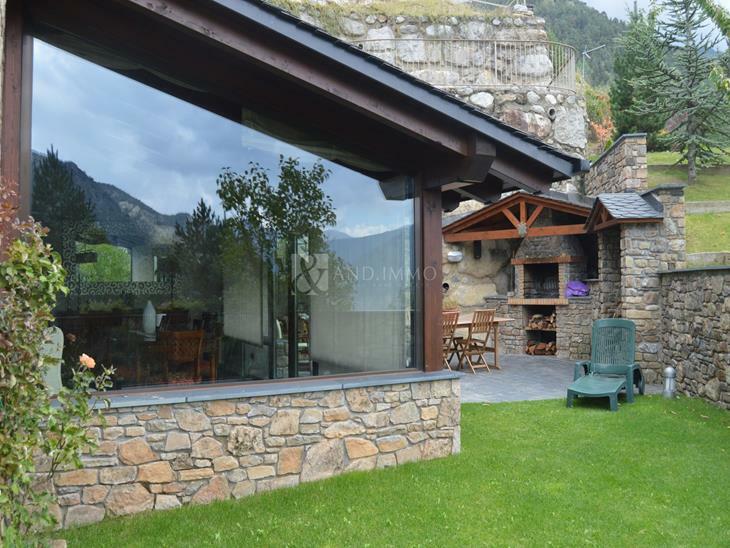 Large chalet of 1087 m² on a plot of 500 m², located in a privileged area of Escaldes Engordany just 5 minutes from the center of the capital, with panoramic views to the valley and with excellent exposure to the sun. 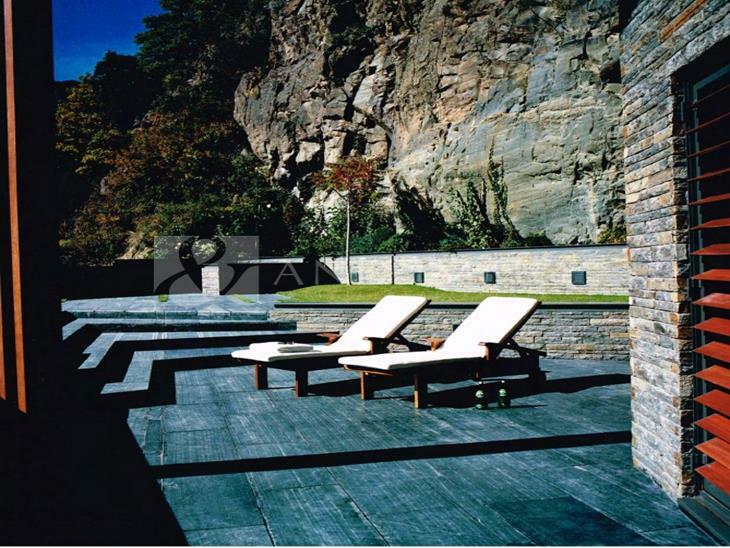 This property is divided into 5 levels. 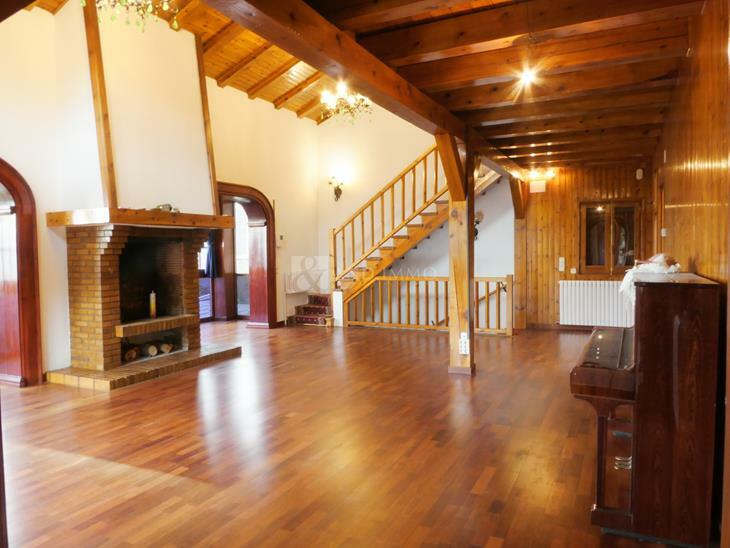 The last floor of the basement of this detached villa has a spectacular cellar where there is also a large natural stone dining room where you can enjoy celebrations, wine tasting and more. Climbing a floor, we find the gym very spacious and bright, a diaphanous room used as a disco, a storage room and a toilet. Finally, on the first floor of the basement, is located the garage with capacity for five cars, laundry and an apartment with kitchen, living room and a bedroom designed for service. On the ground floor, there is a hall that leads to the bright living room and dining room where the fireplace, solid wood paneling and the valley views create an idyllic atmosphere. On the other hand, the kitchen is equipped and very spacious with access to the terrace and utility room. In addition, this floor has a double bedroom and a bathroom. On the first floor of the villa is the sleeping area, the master suite and its bathroom with hydro massage bathtub and two double bedrooms with access to the balcony both share a full bathroom.